Wondering how to get rid of typos, misspelled words, and punctuation errors? Achieve a mistake-free paper with the best editing tools! Even in the era of technology, students can’t avoid dealing with a huge number of academic assignments. The papers they are expected to do have specific purposes and requirements which means that they cannot just write whatever they want. Of course, proofreading and editing are the two stages you can’t afford to skip. Thanks to them, you can spot all the mistakes you’ve made and get rid of them before your paper gets to your tutor. For simplicity’s sake, errors can be divided into two kinds — those which are easy to detect (e.g., typos, missing spaces, misspelled words, etc. ), and those which aren’t (improper sentence structure, wordiness, missing logical connections, etc.). The problem is that we cannot edit our papers properly because they all seem flawless to us. And that is precisely why having an unbiased third party proofread your paper is so important. So, let us take a closer look at some of them. There are a lot of proofreading tools available on the Internet, and each of them has their own unique features. Some are designed to detect grammar errors, while others can highlight punctuation or syntactical mistakes. We’ve picked top 6 grammar and spell checkers that can greatly improve the quality of your papers. Grammarly. This is one of the most popular tools for fixing spelling, punctuation, and grammar mistakes. Apart from machine editing, you can also use human-powered proofreading. The good thing about Grammarly is that it does not only highlight mistakes but also explains why it considers them as such. The tool offers you different solutions on how to avoid dangling modifiers, unclear antecedent, repetitive words, etc. However, you shouldn’t trust it blindly. Grammarly often makes false positives errors (especially with the passive voice or prepositions at the end of the sentence), so do not over-rely on it. Designed to run on Windows, this program analyzes the text you paste in it and suggests ways in which it can be improved. StyleWriter highlights very long sentences and misspelled words or phrases in different colors. If you click on a potential error, you can see its explanation and decide whether or not to apply the solution suggested by the tool. You can also monitor the overall analysis in small windows where the number and the average length of sentences, as well as mistakes distribution throughout the text, are shown. Cliche Finder. Cliches are good when you want your writing style to be easily recognizable. However, if you overdo it, you risk ending up with a dull and unoriginal paper. Cliche Finder helps you make your writing more insightful and to the point by identifying and eliminating redundant phrases. 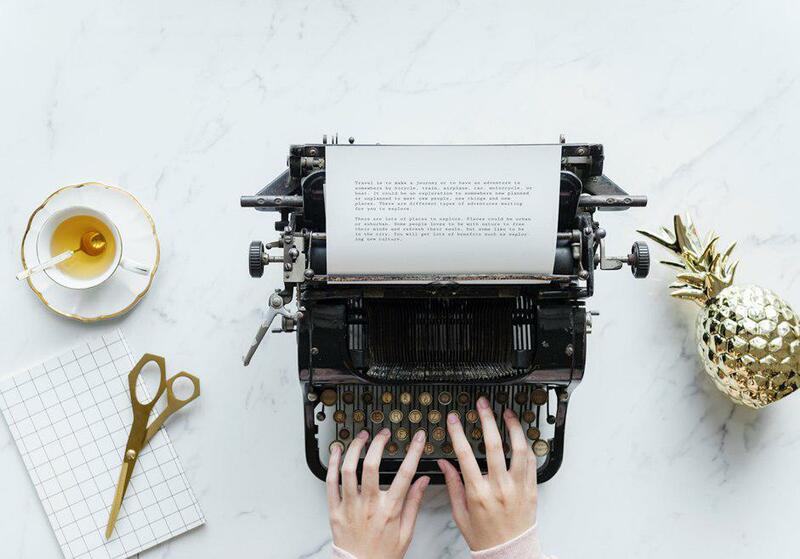 Hemingway is a tool for those who live by the motto “Brevity is the soul of wit.” It can make your writing style more laconic and understandable — just like that of Ernest Hemingway! Apart from detecting lexical and grammar mistakes, Hemingway can also suggest various ways in which you can construct complex sentences. Academic Platforms. These are services, not tools, although they can be quite useful sometimes. If you think you make too many mistakes, you may consider using some well-known online paper editing‌‌. Usually, such platforms do not only analyze your papers but also help you proofread and edit them. Anti-Plagiarism Services. Plagiarism should be a matter of grave concern to anyone who wants to come up with a unique paper. You can’t reinvent the bicycle, but you can make your paper more original by paraphrasing and avoiding repeating someone else’s thoughts word for word. We recommend using anti-plagiarism tools like Dupli Checker, Copyleacks, PlagScan, etc. To sum up, editing is an absolutely vital part of the writing process. Your success as a writer depends greatly on it, so you should do your best to minimize the number of mistakes in your papers. Use one of the above tools, and we guarantee you’ll achieve the best results!